The 2016 NCAA Division 1 Baseball tournament has been cut down to 16 teams after the Regional round. Seven of the top eight National Seeds remain with only the Clemson Tigers falling in the Regional round. The Super Regionals will take place between Friday, June 10 and Monday, June 13 as long as the weather cooperates. All 16 teams are listed in the table below. The first eight teams are the Super Regional hosts while the following eight teams will be visitors. The Super Regionals employ a best of three format with the eight winners advancing to the College World Series. Below are the schedules for each of the 8 Super Regionals. Game times are subject to change and will be updated as soon as they are known. There is also a daily schedule of all the games below the final Super Regional. 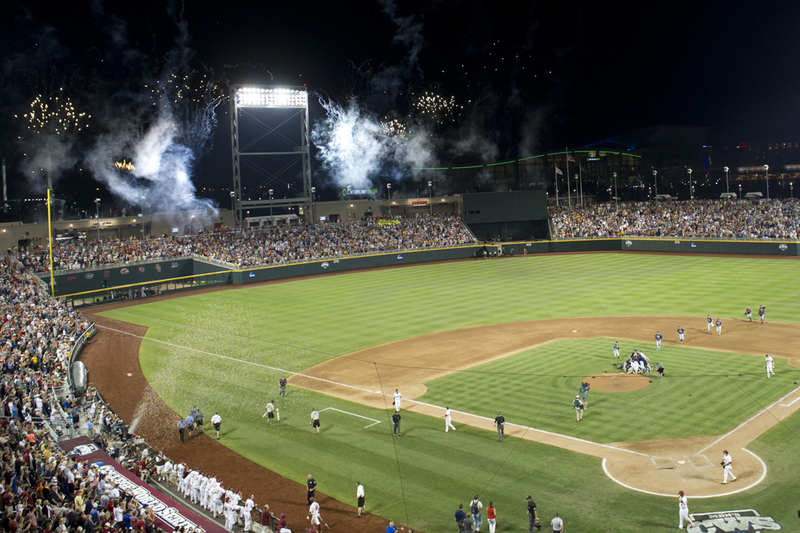 The 2016 College World Series will be start on Saturday, June 18 and end on June 28 or 29. The College World Series is held at TD Ameritrade Park Omaha in Omaha, Nebraska. The eight teams that make the CWS will play until two teams remain with those two teams then playing a best of three Championship Series to determine the National Champion. 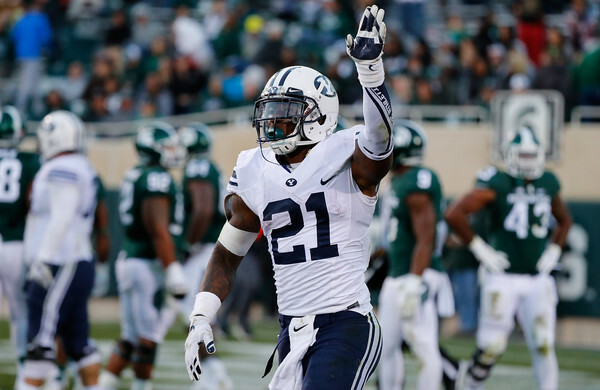 The BYU Cougars and Mississippi State Bulldogs have agreed to play a home-and-home series in 2016 and 2017. 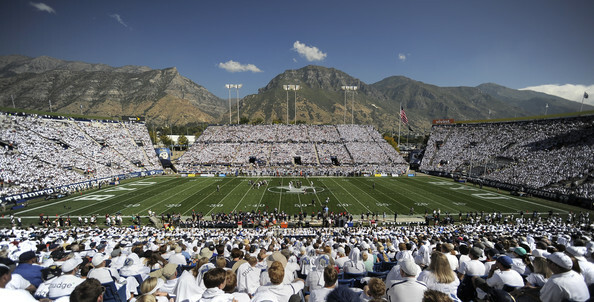 The first game will be Mississippi State at BYU on October 15, 2017 at LaVell Edwards Stadium in Provo, Utah. The second game of the series will be BYU at Mississippi State on October 14, 2017 at Davis Wade Stadium in Starkville, Mississippi. 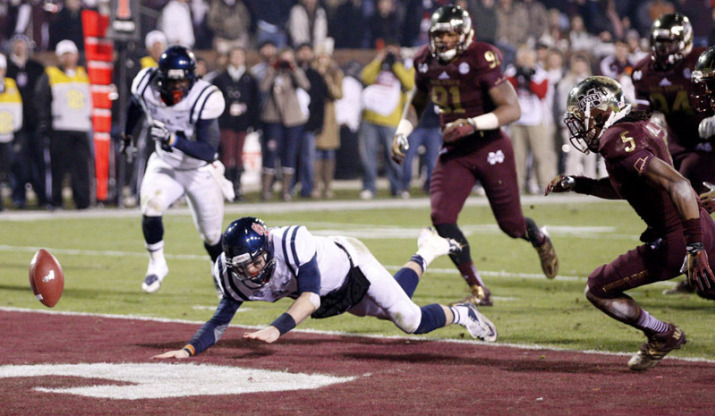 BYU and Mississippi State have played twice before in 2000 and 2001. Mississippi State won 44-28 in 2000 on the road while BYU returned the favor a year later with a 41-38 win on the road. The SEC announced on Thursday that Notre Dame, BYU, and Army will all count towards the “power conference scheduling” requirement. 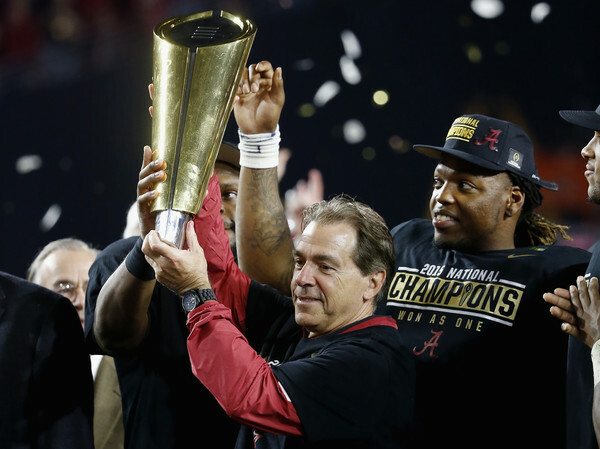 The requirement is that all SEC teams must schedule one power conference team per year beginning with the 2016 season. It is hard to comprehend that Army is considered a “power team” given their struggles in football over the last few decades. It looks like Army will probably getting quite a few phone calls to have them around SEC country beginning in 2016. 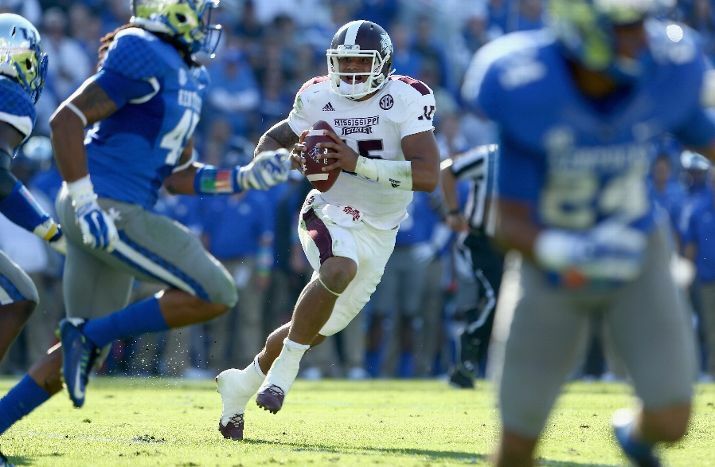 Despite winning 45-31, Mississippi State was never comfortable in their victory over Kentucky. Dak Prescott threw for 216 yards and a touchdown and ran for another 88 yards and 2 touchdowns to lead the Bulldogs. The Bulldogs started strong with a 12 yard touchdown run from Josh Robinson, but the lead would not last long. Five plays into their drive, the Wildcats responded with Patrick Towles hitting Demarco Robinson for a 67 yard touchdown that featured a few nice moves along the sideline and blazing speed from Robinson to tie the game at 7. 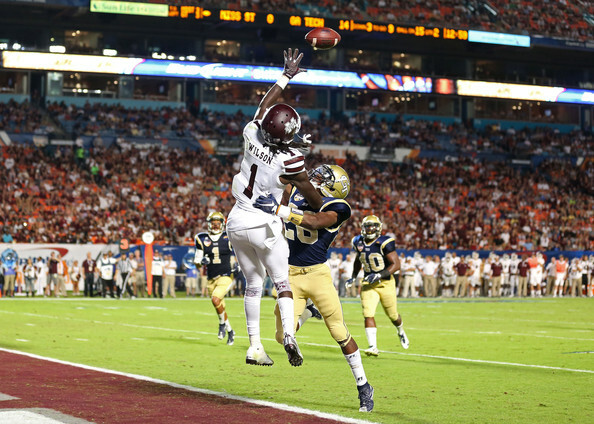 Later in the first quarter, Braylon Heard was stripped and Benardrick McKinney recovered the ball, which turned into a field goal for the Bulldogs. The lead was extended to 17-7 on the next drive with Prescott’s two yard run. Kentucky responded with a 34 yard field goal from Austin MacGinnis from 34 yards to make it a 17-10 game. The final four minutes of the second quarter showcased two missed field goals, one from each team, as well as a Prescott interception. However, that would not turn into points and the Bulldogs held a 17-10 lead after 30 minutes. The third quarter was action packed with a total of 28 points. Prescott’s athletic 11 yard run was the first score and that made it 24-10. Not to be outdone, Towles ran in from 10 yards to bring the game back to 24-17. After each team punted, the Bulldogs go the ball back and Prescott’s 8 yard touchdown pass to Brandon Hill made it 31-17. Hill was injured on the play with a thigh injury. Towles responded with a 58 yard touchdown to Javess Blue and it was 31-24 at the end of the third quarter. The Bulldogs extended their lead back to 14 points when Josh Robinson outran the Kentucky defense for a 73 yard score and the Wildcats did not have a response until late in the fourth quarter. Towles ran the ball in from 4 yards out to make it 38-31, but that small hope of a comeback was erased when Christian Holmes rumbled for a 61 yard kickoff return for a touchdown and a final score of 45-31. Dak Prescott went 18 of 33 for 216 yards with a touchdown and an interception. He also ran 18 times for 88 yards and 2 scores. Prescott could be seen limping at various times in the game, which may have come from his 11 yard touchdown run in the third quarter. Josh Robinson had another big game with 23 carries for 198 yards and two scores. The Bulldogs ran for 324 yards and 4 touchdowns on 53 carries as a team. Fred Ross was the leading receiver with 5 catches for 51 yards and Robert Johnson caught 2 passes for 44 yards. Patrick Towles looked good during the game by completing 24 of 43 for 390 yards and 2 touchdowns. He also ran 23 times for 76 yards and two more scores to account for all 4 touchdowns. Ryan Timmons was the leading receiver for Kentucky with 5 catches for 114 yards. Demarco Robinson had 4 catches for 86 yards and a touchdown while Javess Blue caught 2 passes for 81 yards and a touchdown. Mississippi State (7-0, 4-0) continues their impressive run next week with a home game against Arkansas (4-4, 0-4). Should they beat Arkansas next week, they will surely be 9-0 heading into the November 15 showdown at Alabama. However, they must take of business the next week. Kentucky (5-3, 2-3) has dropped two in a row after starting 5-1. They face Missouri (6-2, 3-1) next week on the road with a chance to become bowl-eligible. Saturday was a long time coming for Mississippi State and Ole Miss. For years the two programs from the state of Mississippi were down, or at the very best, underachieving. That all changed on Saturday, October 4 when #12 Mississippi State defeated #6 Texas A&M and #11 Ole Miss beat #3 Alabama. The Bulldogs were very good in the 90’s under Jackie Sherrill, but fell on hard times in his last years and the subsequent tenure under Sylvester Croom. Croom had only one bowl game appearance in 5 years before Dan Mullen took over 2009. However, Mullen has not had that breakout season, though he has 4 bowl appearances (3-1 record) in his first 5 season. That will surely be a fifth bowl appearance in 2014 barring a historic collapse. The Rebels were an average team in the 90’s and early 2000’s under Tommy Tuberville and David Cutcliffe, respectively. Cutcliffe went 10-3 in 2003 with a Cotton Bowl victory over Oklahoma State, but followed that up with a 4-7 campaign in 2004 and was fired. Cutcliffe has done well for himself by resurrecting a long dormant Duke program. After Cutcliffe was fired, Ed Orgeron was brought in, but failed to do better than 4 wins in only three years. He was replaced by Houston Nutt who immediately brought the Rebels back-to-back Cotton Bowl wins following the 2008 and 2009 seasons. Nutt went 4-8 in 2010 and 2-10 in 2011. Enter Hugh Freeze in 2012 who improved the Rebels to 7-6 and then to 8-5 in 2013 with some wonderful recruiting classes. Both teams are now 5-0 in 2014, but this should not be a surprise with both men building their program in methodical ways. Freeze has done so with wonderful recruiting classes and solid coaching. Mullen took longer to get to this point, but the Bulldogs’ are not as quick to pull the trigger and it takes time to revive a program, especially in a conference as tough as the SEC. As great as these wins were for both programs, the real test is to see how they respond especially with their moves up the rankings. The Bulldogs and Rebels are BOTH at #3 in the AP Poll. And they will each have another big next weekend. #3 Mississippi State takes on #2 Auburn (5-0, 2-0) at home while #3 Ole Miss travels to #14 Texas A&M (5-1, 2-1). Both teams have a similar schedule to end the year. The Bulldogs schedule is Auburn, at Kentucky, Arkansas, UT-Martin, at Alabama, Vanderbilt, and at Ole Miss. The Rebels remaining schedule is at Texas A&M, Tennessee, at LSU, Auburn, Presbyterian, at Arkansas, Mississippi State. The nod probably goes to the Bulldogs because they draw Vanderbilt and UT-Martin while the Rebels have Tennessee and Presbyterian in their two easiest games. It should be said that no team has an “easy” schedule per se because the SEC is is a buzz saw, especially the SEC West. Of course, how could the Egg Bowl be ignored for all the tantalizing possibilities it presents now? 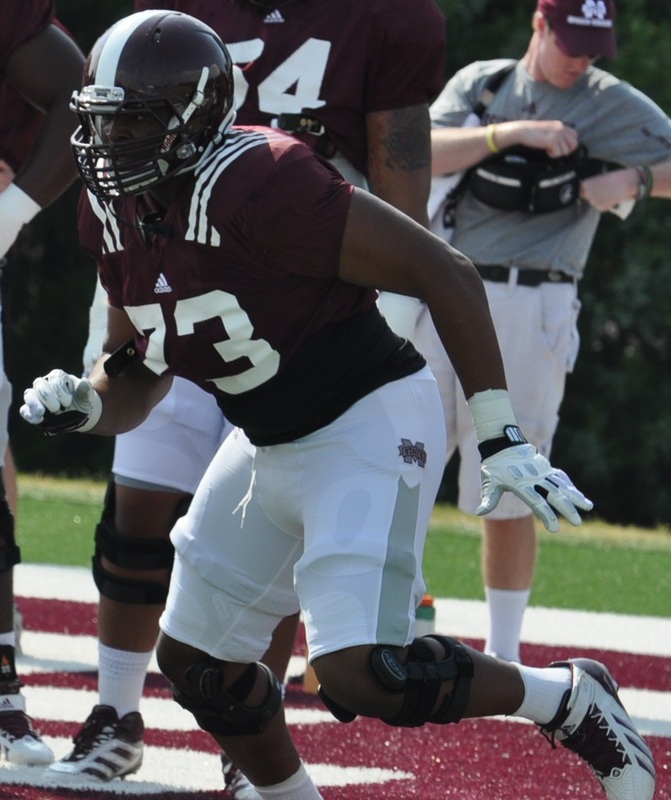 It could be a door into the SEC Championship, which only the Bulldogs have appeared in. 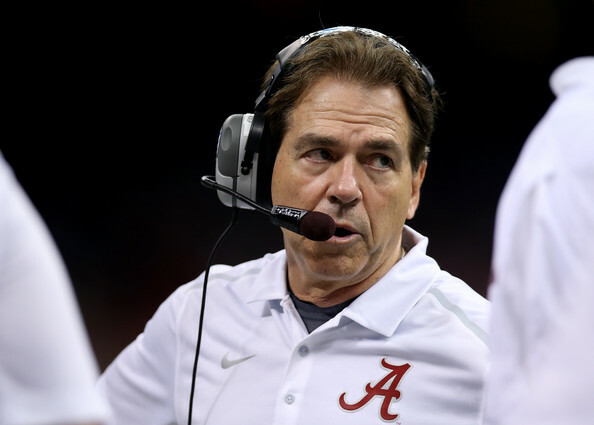 It could even be a door into the College Football Playoff if they win the SEC West and the SEC Title. That all is conjecture and both teams have 6 more games before they even reach the Egg Bowl. But is sure is fun to think about what could be at stake. One thing that will be interesting to see is how these two coaches and programs do in 2015 and beyond. We have seen the Rebels have two good seasons in the past and then sink to the bottom of the SEC West. The Bulldogs have done the same. Still, there is no reason to think that these programs will not continue their success, barring any catastrophic event or sequence of events.